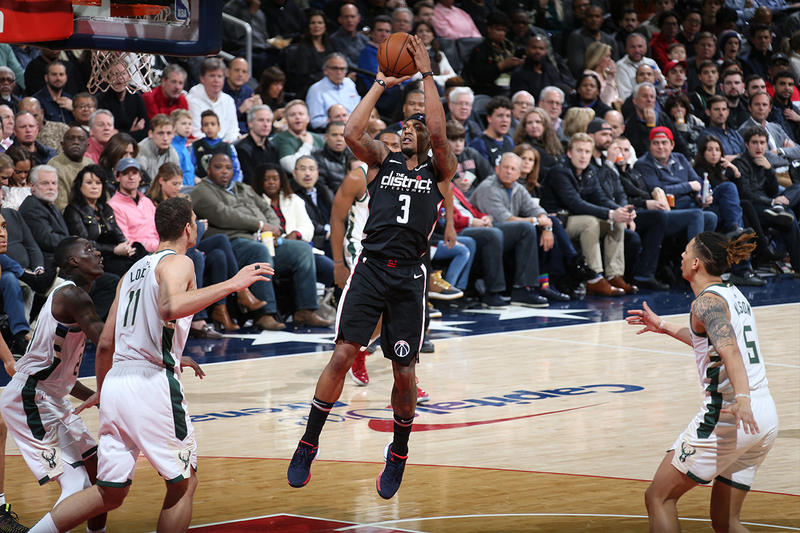 Bradley Beal and the Washington Wizards defeated the Milwaukee Bucks 113-106 Friday night in the nation’s capital. The Panda totaled 32 points on 11-21 shooting (3-for-4 3PT) while going 7-for-7 from the free-throw line and adding seven assists, five rebounds and three steals. Milwaukee hit a game-opening three and led 5-to-4 early on, but that would be their last lead as Washington took over and carried a double-digit lead throughout, an impressive feat considering the Bucks have been red-hot coming into the game, winning 11 of their previous 13 games. Beal played exceptionally well in the opening period, scoring 15 points on 5-for-7 shooting (2-for-2 3PT) and 3-for-3 from the charity stripe. As of late his production and work rate has increased, but more importantly, the Wizards are winning going 4-and-2 since the new year began. In a season mired by injuries and roster changes, the team’s beginning to develop chemistry on the floor, and their play shows it. “It’s just a matter of time, our team is totally different from the beginning of the year. Guys are injured, guys are out. The guys that we activated, it’s just getting those guys adjusted and getting adjusted to everybody’s role, how we’re going to be. 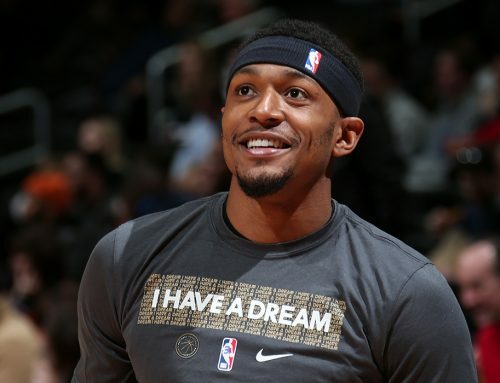 It’s just a matter of us getting it together and I think we’re finally at that point to where we can turn the corner,” Beal said. 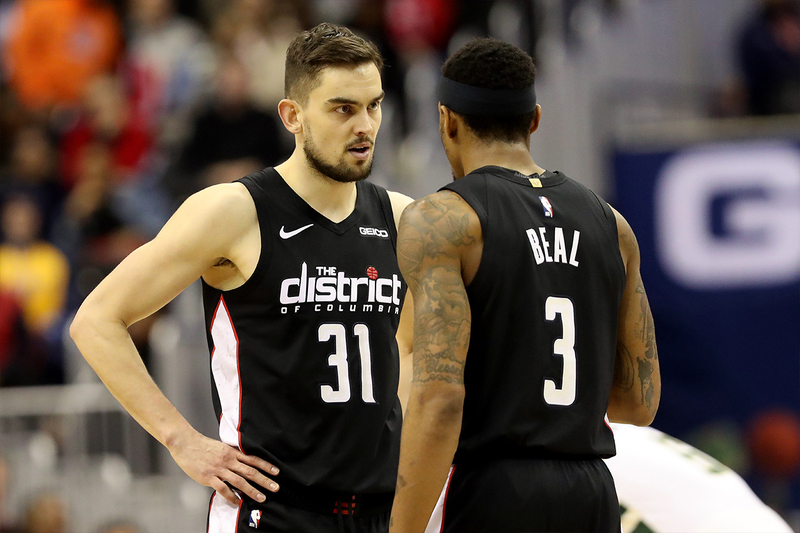 Third-year pro Tomas Satoransky is one of the guys thrust into an unexpected role after John Wall suffered a season-ending injury. Washington’s new starting point guard began the season averaging around 14 minutes a game but now finds himself logging in 30 minutes on a nightly basis. Against the Bucks he recorded his first career triple-double scoring 18 points, dishing out 10 assist and securing 15 rebounds. Needing one assist, Satoransky secured the feat late in the 4th with 1:43 remaining after finding Beal for an alley-oop slam that resulted from a set play. While Satoransky dribbled above the three-point line, Beal on the opposite side, made his way up to the free-throw line. With the defender’s back turned to the ball, Beal cut back inside towards the basket where Satoransky found him in mid-air for a wide-open dunk. 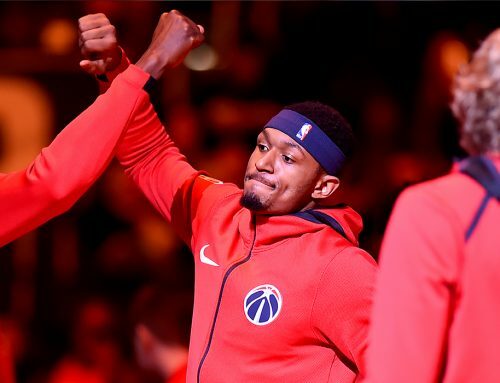 Beal’s leadership and play on the court continues keeping Washington afloat and as collective group the team appears headed in the right direction. 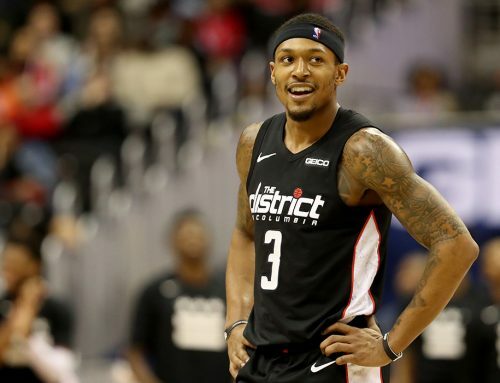 His performance this season makes him a strong candidate to make the 2019 NBA All-Star game and with Beal navigating the ship, the Wizards are poised to make a second-half run at the playoffs. Next up for the Wizards is another top Eastern Conference foe in the Toronto Raptors. Tip-off is set for 1:00 p.m. ET at Capital One Arena.